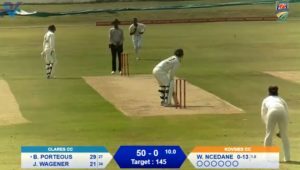 The pair resumed battle on 20-3 in the morning and batted together throughout the day in an incredible feat of attrition, Mendis ending undefeated on 116 off 287 balls (12×4), with Mathews not out on 117 off 293 balls (11×4). It was only the 22nd time in Test history that no wickets have fallen in an entire day of Test cricket (see bottom of page). 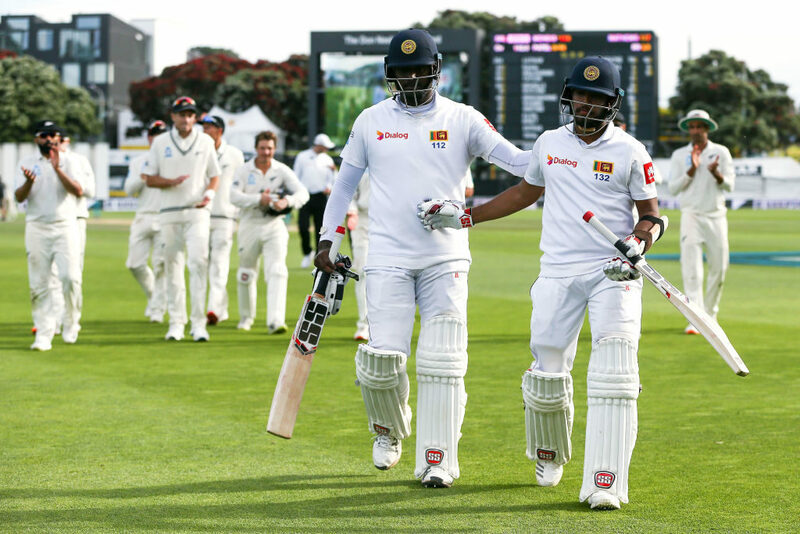 The pair spent 577 balls together in building their fourth-wicket partnership of 246 which, although it is their best stand against New Zealand, remains a long way from entering into Sri Lanka’s Test record books for best partnerships. Mathews celebrated his ton with a series of on-field push-ups which he followed with a display of flexing his biceps to let fans and selectors know that he still has the appetite to do his duty for his country. Mathews has now scored nine tons in his 78 Test matches (141 innings) and will be eyeing his Test-best score of 160, which he registered against England in 2014. That innings formed part of his best year in Test cricket, scoring 1,160 Test runs in 20 innings. Mendis registered his sixth Test ton in his 64th innings, which was his third Test ton in 2018, following his 102 against the West Indies in June and his Test best of 196 against Bangladesh in January. 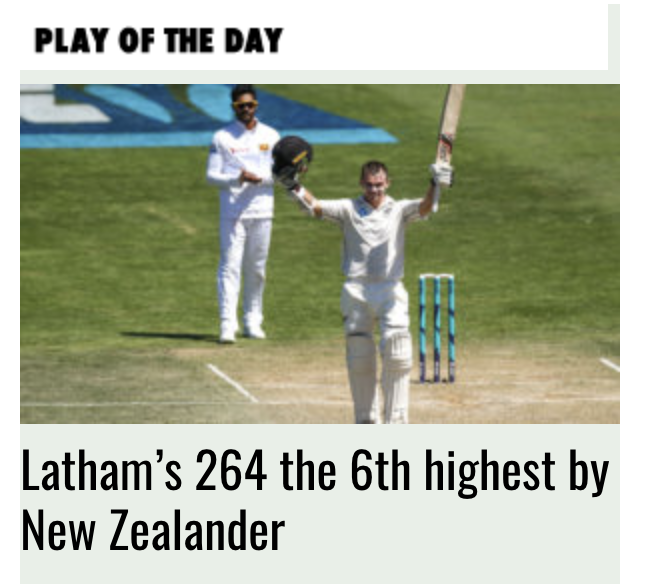 Tim Southee ended with 2-36 off 20 overs (econ 1.80), with Trent Boult, the other wicket-taker from the previous day, ending with figures of 1-50 (econ 2.38). Ajaz Patel toiled manfully without reward, his 26 overs costing just 46 runs at a rate of 1.76 to the over. Sri Lanka have a lot of work yet to do to save the Test as they head into the final day still 37 runs behind New Zealand and with seven wickets still in hand, although the prospects of rain tomorrow could play into their hands.